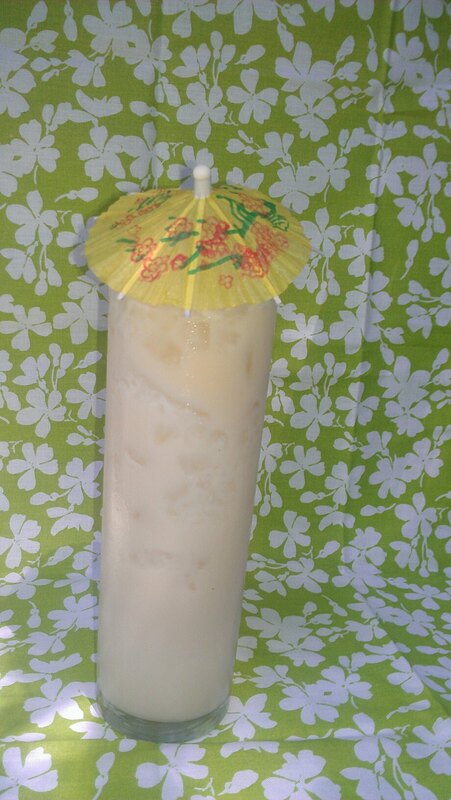 Pina Colada redemption month is coming to a close. Really what we’ve tried to show here is that those basic flavors of pineapple and coconut pair really well together. There’s no reason to shun them because of one unbalanced drink. It is important to remember, once again, that fresh citrus is always a Tiki man’s best friend. It’s also the key to bringing balance to the Pina Colada. 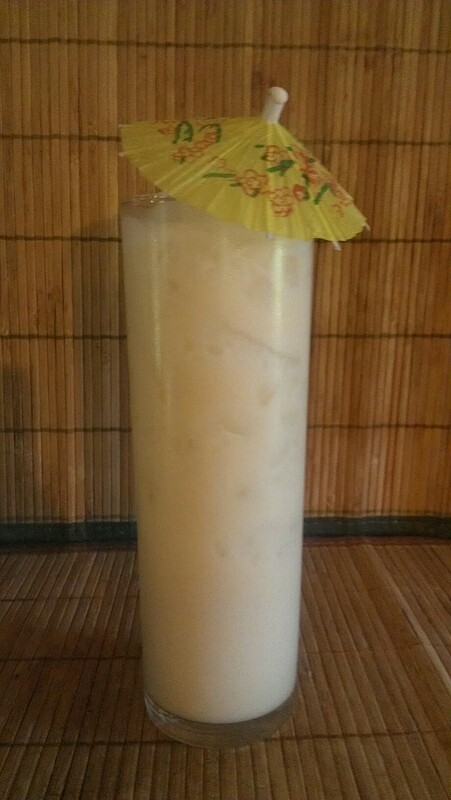 This week’s drink is based upon one of my favorite drinks on the site the Drunken Sailor. Of course if that sailor gets to wasted his ship might just run aground and leave him with a wealth of coconuts. This drink is also a tribute to one of my favorite childhood cartoon characters Shipwreck from GI Joe. 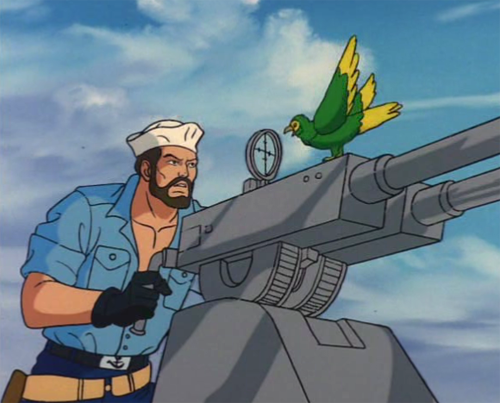 I can hear his parrot berate berating him even as he picks himself out of the wreck on some tropical island. Just get to the blasted drink swabby!! So crack out that can of Coco Lopez and some fresh pineapple juice. You might want to make sure you have nowhere to be as well, this drink is on the strong side. You may wonder why we didn’t use Lemon Hart 151 in this drink. While we do love Lemon Hart 151 and consider it our favorite rum it’s not right for every drink. We do like some of the flavor Cruzan 151 has, it’s by far no substitute for Lemon hart, but is has it’s own place. It’s like comparing a dark rum to a gold/amber rum, they simply have different uses. In our opinion it’s nice to heave multiple 151 proof rums to choose from. Also we never have to waste our Lemon Hart by flaming it! Shake together with Ice cube and pour unstrained into a chimney glass. Garnish with a paper parasol and a small skewer of pineapple if desired. This drink has a light citrus spice aroma with wafts of sweet coconut. The flavors are strong and rum forward with rich note of amber rum, molasses, and a subtle oakiness. The edges are quickly smoothed by sweet coconut and acidic pineapple given balance by the hints of lime and grapefruit. The drink finishes with lingering notes of rum and spice, surely one worth sipping slowly if you can. JFL is a heavy metal Tiki mixologist with a culinary degree and a penchant for cartoons and old horror movies. This self taught barmen lives by the "What Would Donn Beach Do" mantra, but always takes his Tiki seriously.